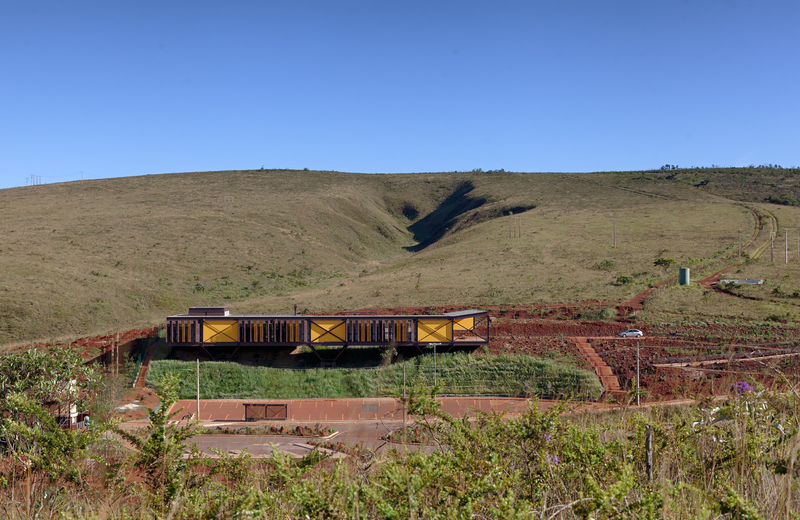 The Rola-Moça State Park is one of the most important green areas of the State of Minas Gerais. 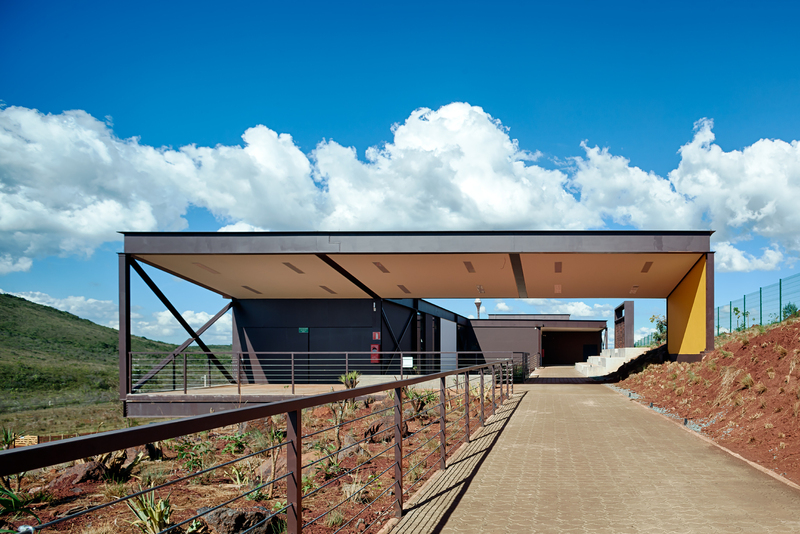 Located in the metropolitan area of Belo Horizonte, it houses some of the sources that supply the capital, as well as the natural habitat of species of endangered fauna such as the brown jaguar, the ocelot, the maned wolf, the wildcat, the macuco and the stag. 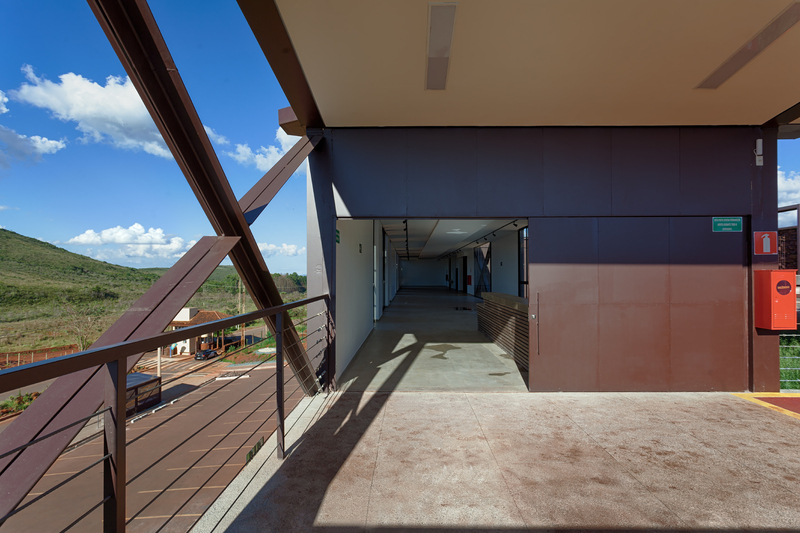 The Park is situated in a transition zone from Cerrado to Atlantic Forest, rich in ferruginous fields, which are very rare, being found only in the iron and iron quadrangle and in Carajás. 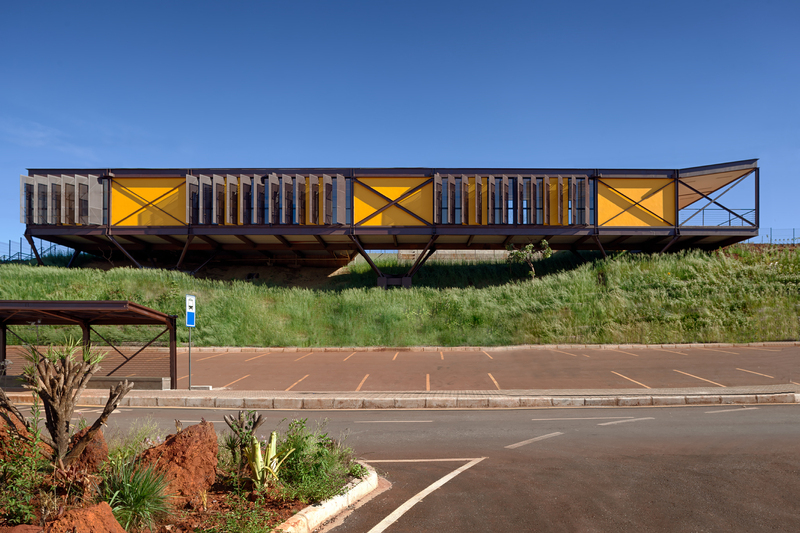 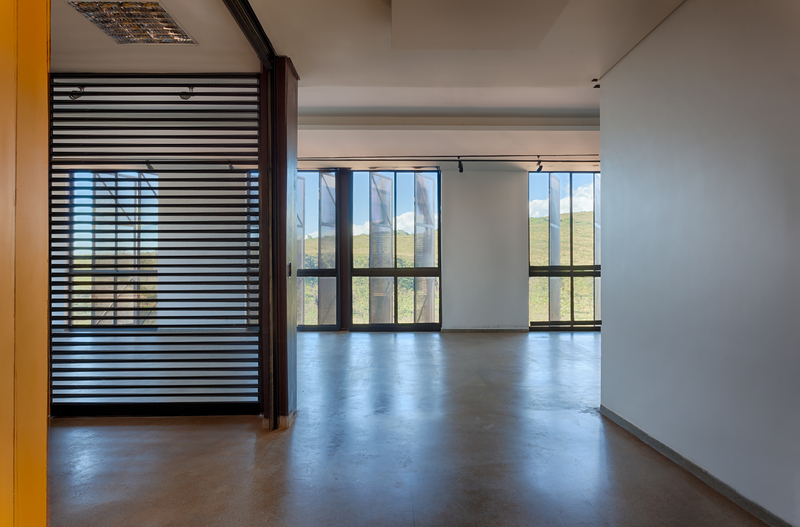 The building was conceived as an object lightly placed on the site of Rola Moça mountain range, minimally interfering in the topography of the terrain and preserving the local vegetation. 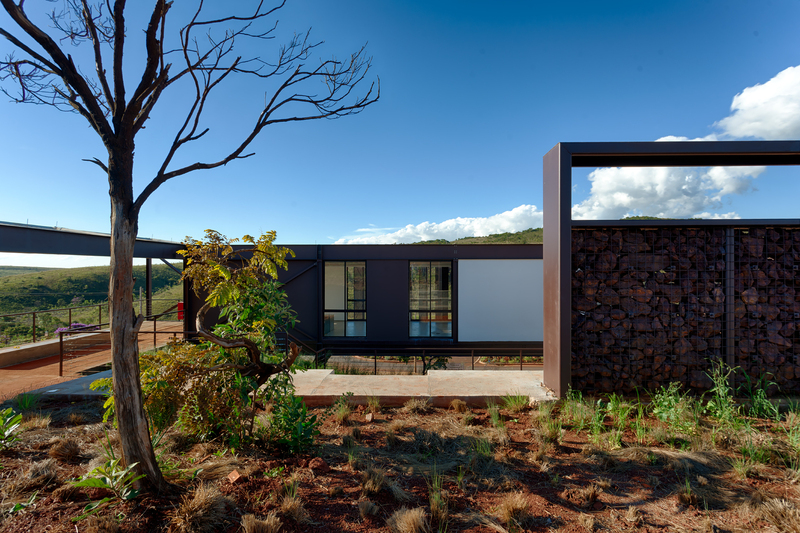 The lightness in the implantation and the extreme horizontality of its shape make a striking presence in the landscape. 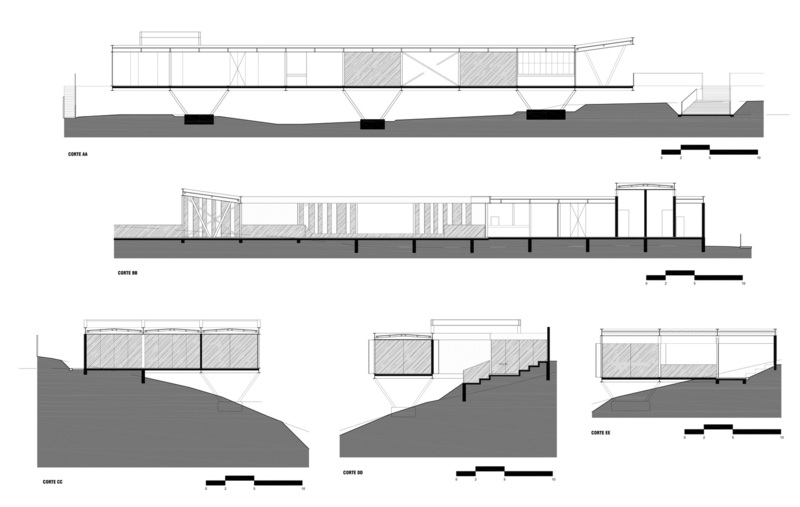 An architectural landmark for the park entrance, so that visitors recognize it as their center of support, a place of rest, for quick meals, contemplation of the exhibitions and nature itself, and also an excellent place for astronomical glimpse. 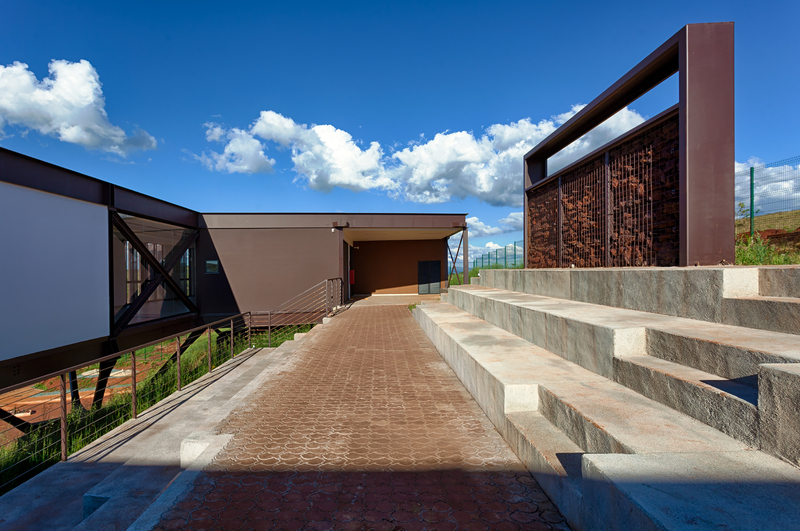 The building has a reception, as exhibition hall, a multipurpose room (mini-auditorium), a snack bar, toilets and an outdoor cinema, where teaching classes, lectures and videos can be held, thus contributing to the education of the population and awareness of park users. 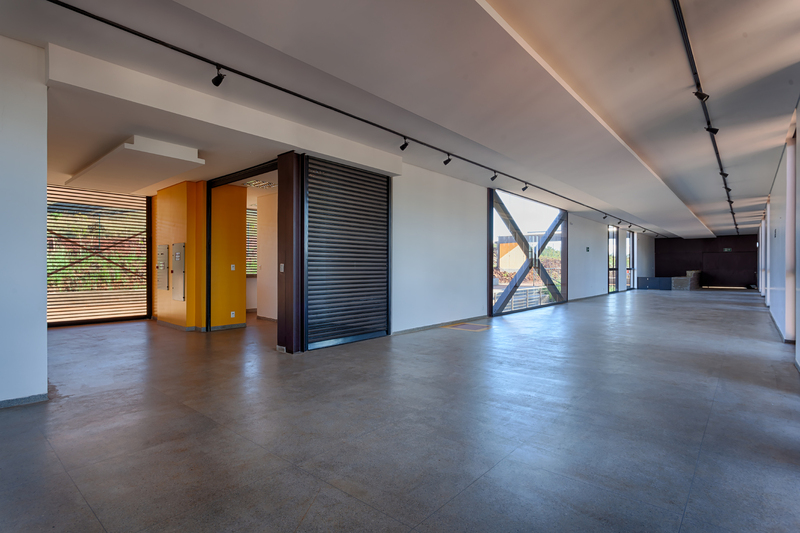 The snack bar has openings inside and outside the building, allowing it to operate even when the main museum is closed. 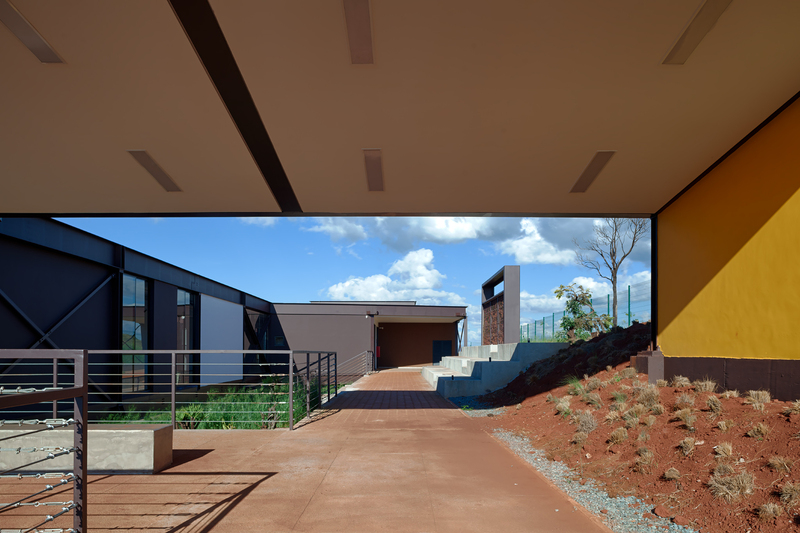 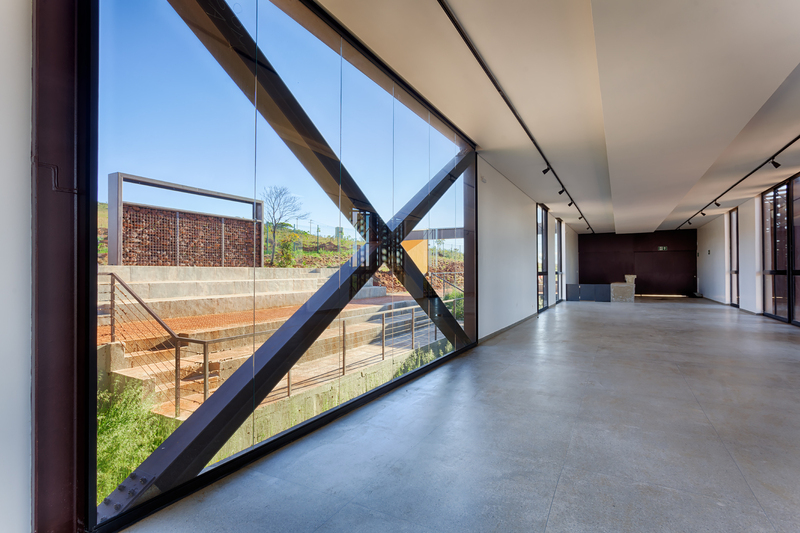 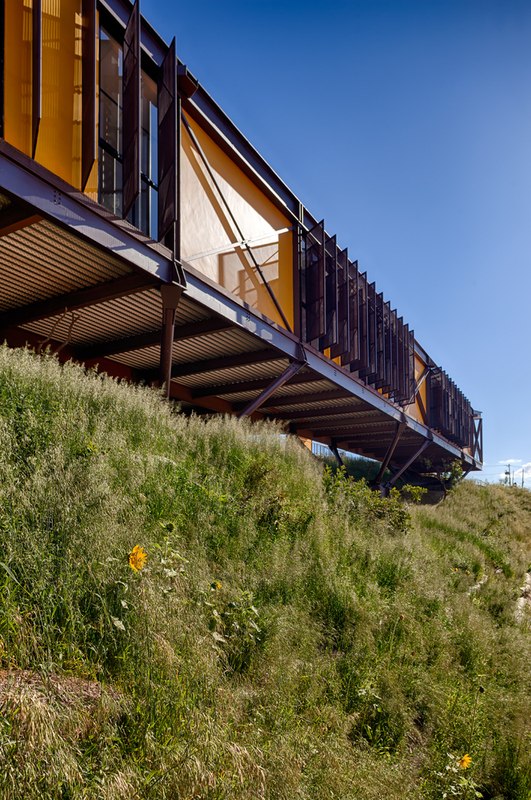 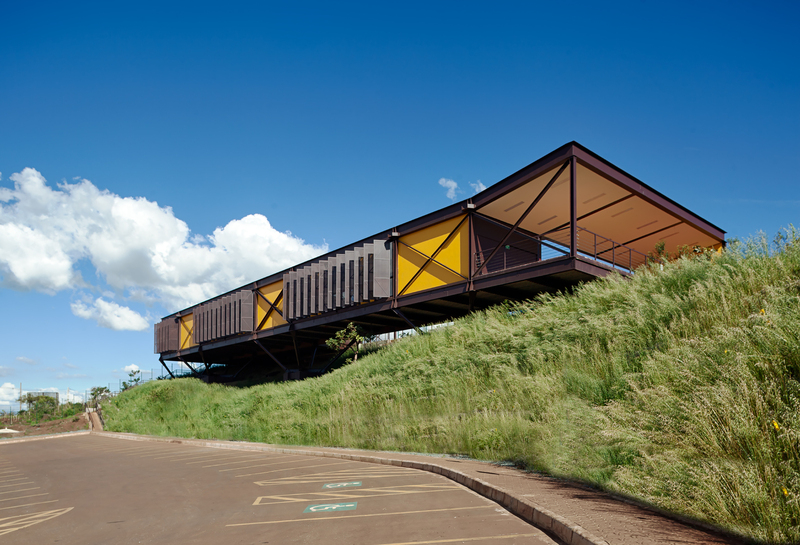 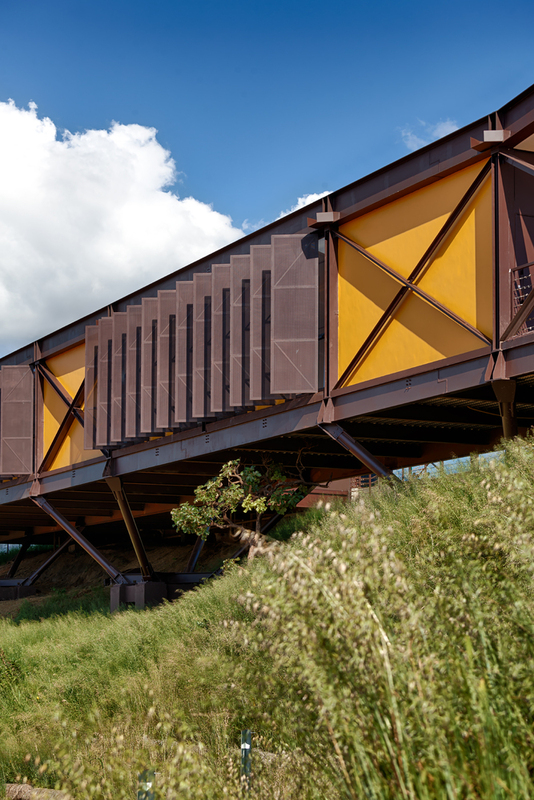 The chosen materials seek to refer to the place where the building is located through its dark brown color, making reference to the existing canga soil composed largely of iron ore.